ProSolutions Training courses are "Accepted" - Based on the parameters for acceptable Early Care and Education training hours outlined by Arizona's Bureau of Child Care Licensing, the state has no formal approval process. 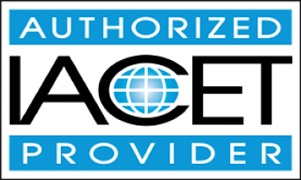 ProSolutions Training courses provide IACET CEUs and are accepted by The Bureau of Child Care Licensing to meet annual in-service training requirements. ProSolutions Training offers Arizona child care professionals online CDA coursework and more than 100 individual courses in early childhood education and human services. Most online child care training courses are also offered in Spanish. Click the button below to view the online courses and training available in Arizona. Learn more about Arizona CDA Coursework and Arizona CDA Renewal. Arizona Child Care Training Group subscriptions are a great way to train and retain early childhood educators. The Group Subscription allows your child care staff to choose from more than 100 courses developed specifically for early childhood education professionals by curriculum experts. The child care facility director or administrator manages the account access and can add and remove staff as needed. It's simple to assign courses to your team as needed. The Arizona Child Care Training Individual Subscription is the perfect online early childhood education solution for individuals. This subscription gives access to more than 100 online training courses developed by curriculum experts at ProSolutions Training. Print individual Professional Development Certificates as each course is completed. This is the most economical online child care training option for individuals. You can locate information about Arizona's Professional Development RegistryArizona Early Childhood Workforce Registry/.The Arizona Early Childhood Workforce Registry is a component of Arizona’s Early Childhood Career and Professional Development Network (Network). Learn more about Arizona's Quality Rating and Improvement System Quality First Arizona. Quality First – a signature program of First Things First – partners with child care and preschool providers to improve the quality of early learning across Arizona.Quality First funds quality improvements that research proves help children thrive. And through this website, Quality First offers parents information about the importance of quality early care and education and what to look for in child care and preschool settings that promote learning.